The Melody Marquise diamond earrings dazzle with a perfectly matched pair of Marquise cut diamonds. 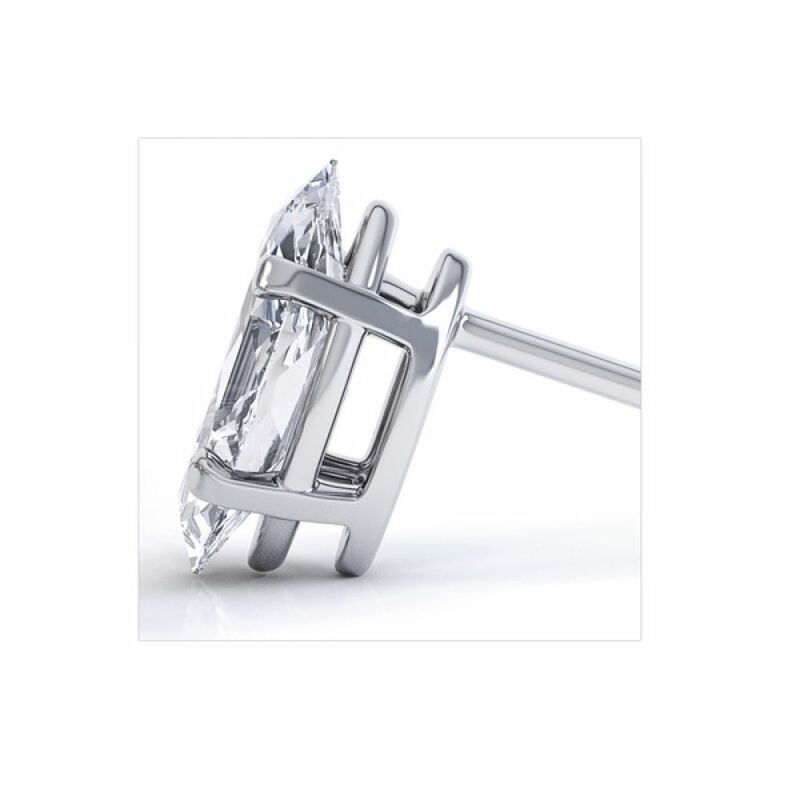 Styled with a secure four claw setting, the Marquise diamond stud earrings offer an alternative diamond shape, crafted in a modern diamond stud earring design. Beautifully presented and gift packaged, created to order just for you. Enjoy the dazzle from this exceptional pair of Marquise Diamond solitaire stud earrings, crafted to order in a wide choice of precious metals. Discover the beauty of the Marquise-cut Diamond, brilliantly faceted for sparkle and available in many Diamond Colours, Clarities and carat weights. Marquise cut Diamonds arboat-shapeded in design, and brilliantly faceted for a unique and alternative effect. 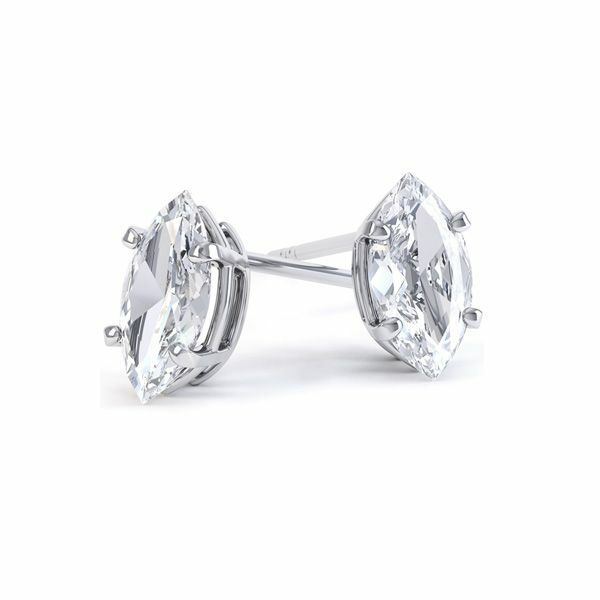 We create each pair of Marquise Diamond stud earrings, working with perfectly matched Diamonds. The earring design is simple, yet secure, crafted with a four claw setting for peace of mind. Your earrings will arrive within approximately 4 weeks, beautifully boxed and exquisitely presented in pristine Serendipity Packaging. We hand deliver each pair by secure courier, with a complementary pair of secure Lox earring backs in addition to the precious metal butterfly attachments included. Please contact us for more information on the Marquise Diamond stud earrings, or on any other earring design from our collection.